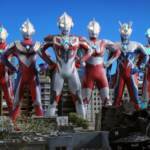 While Super Sentai fans celebrate VRV’s addition of Zyuranger to its services, we have some unfortunate news for fans of Ultraman; Crunchyroll has announced that several Ultraman shows will be leaving its library citing licensing issues as the main problem. The four shows are as follows: Ultraman Leo, Ultraman 80, Ultraman Max, and Ultraman Mebius. Ultraman X will remain while nothing has been said about Orb or Geed getting taken down as of this writing. Fans of these shows will have until October 14th, 2019 at 8 AM PST to finish watching before they get removed from Crunchyroll’s streaming service. One more unusual news item from New York Comic Con! Digital media service Crunchyroll has picked up the 2005 Ultra series, Ultraman Max and will make the program available for streaming! In the very first episode a strange visitor from space notices Toma’s bravery when the young man risks his own life to help save a lost little boy from danger. 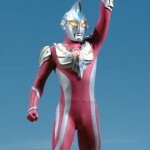 The alien gives Toma the power to become the mighty superhero Ultraman Max, a towering red and silver giant 40 meters tall. When two gigantic monsters threaten the world, Toma uses his new powers to destroy them. Ultraman Max will be available beginning October 14! All times are GMT -4. The time now is 6:40 PM.